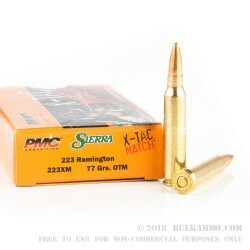 This match ammo from PMC is designed for competition and training and delivers accurate, dependable ballistics better than any range load can provide. 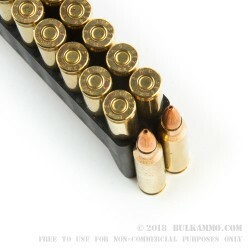 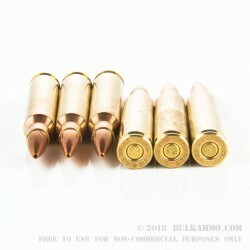 Each cartridge in this box of 20 fires a 77 grain open tip match bullet that provides more stability and precision than 55 or 62 grain projectiles. 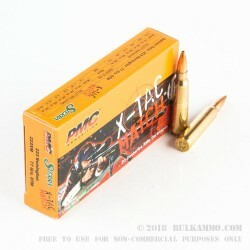 Like other PMC ammo, these rounds are manufactured in South Korea using non-corrosive Boxer primers and brass cases.